Lord of the Rings fan art plus public service announcements equal hilarity. With posters discussing not putting rings on it, how to properly dispose of rings of power, the dangers of Ent draught and giving Balrogs the right to pass, no warning goes unsaid. Special shout out to the poster dedicated to Gandalf’s fireworks: “Don’t play with fireworks. Because maybe some dickhole wizard made one that literally creates a dangerous fire dragon.” See the remaining PSAs over on Dorkly. What if the remaining two Hobbit movies were split into 18 movies? According to “Saturday Night Live”, it would include amazing sequels like: The Hobbit 2: Journey to the Beginning of the Walk to Smaug’s Lair and The Hobbit 4: Apple Maps: An Unexpected Detour, starring host Jennifer Lawrence as a seriously pissed off Galadriel trying to decide between which identical white dress to wear. The much less amusing Hunger Games sketch, which is only funny when they mock Peeta, is available for your sort-of-viewing pleasure on Hulu. Since Middle-earth may be getting its own theme park and Harry Potter already has one, an intrepid reporter decided to ask author Stephenie Meyer about a possible Twilight theme park. In a move that actually makes us like her, Meyer replied, “How could you create that? It would be so boring. Would you have to go to high school for that? Ugh. Sounds awful.” She also queried what rides could possibly go into the park, saying, “I guess you could have a mechanical vampire that you could ride piggy back. 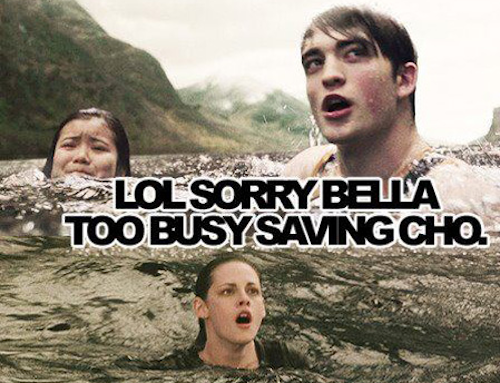 I think that’d be a liability issue though.” Stephenie Meyer, we hate you a little less now. The Graveyard Book is an amazing children’s horror novel inspired by The Jungle Book about a boy named Nobody Owens (Bod for short) raised in a graveyard by ghosts. 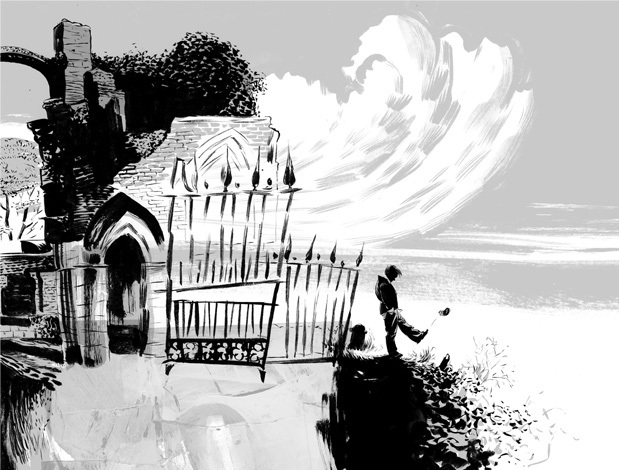 And if the premise doesn’t sell you, it was written by Neil Gaiman and illustrated by Dave McKean. It’s pretty much the best thing ever and it was being made into a stop-motion animation movie by Henry Selick for Disney before it all imploded. Thankfully, Ron Howard has pulled it out of development hell and plans to produce a live-action version alongside living Dr. Seuss character Brian Grazer. HUZZAH! Rather than continuing to write Winds of Winter as he would have us believe, GRRM has been editing an anthology entitled Dangerous Women, for which he has written a short novella about the Targaryen clan. 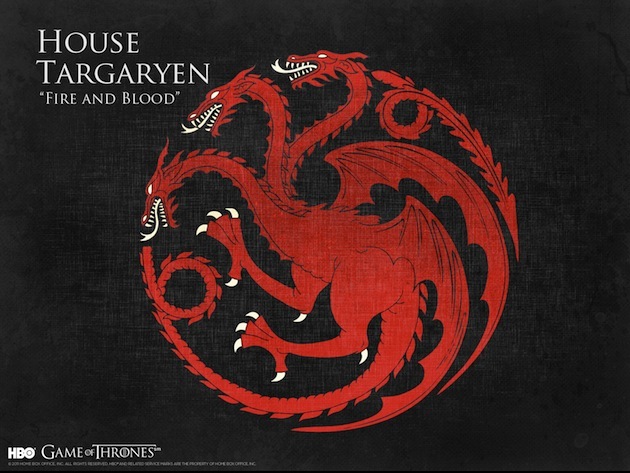 The piece, titled “The Princess and the Queen” will occur around the time of the Targaryen Civil War, when Targaryens were fighting Targaryens and dragons were fighting dragons. The anthology will also feature stories from other series in the fantasy genre, such as Lev Grossman’s The Magicians and Jim Butcher’s The Dresden Files. For the full list of stories and authors, visit Tor.com. Two new young adult series are getting their own television pilots. 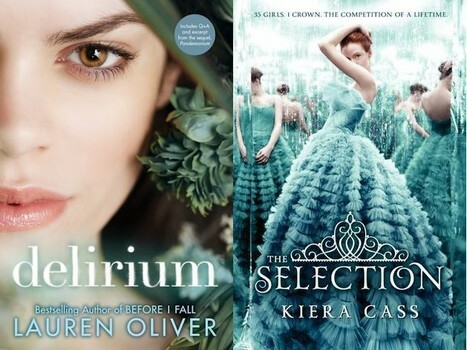 The Selection, a reality show-type competition about finding a Princess for the bachelor Prince Maxon is getting a second pilot opportunity from the CW11 after the first one wasn’t picked up, while Delirium is being offered its first pilot from FOX. The latter is set in a world where teens are cured of the disease of love in order for the society to more easily control its citizens. We blame this one on The Hunger Games, but we can’t really complain if it puts YA novels on the big and little screen. Sometimes merchandise comes along that you love so much you need to buy it immediately. This is one of those times. Combining one of the more memorable lines from Tina Fey’s hilarious movie Mean Girls (“Boo you whore!) 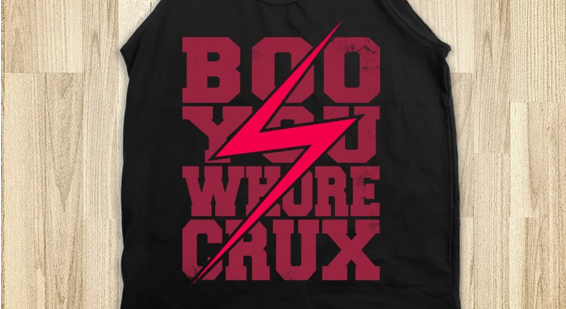 with the horcruxes in the Harry Potter series makes one hell of a shirt reading: Boo You Whorecrux, available through Skreened. Although we would like to argue that Boo, You Horcrux works equally well in this context. This shirt might just surpass our favorite HP pun: 99 Problems But a Snitch Ain’t One. We have an official summary for the first Doctor Who eBook set to celebrate the 50th anniversary of the series. 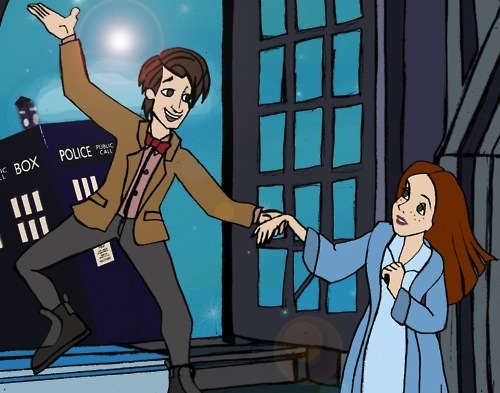 Eoin Colfer’s “A Big Hand for the Doctor” will feature the original doctor, One (it feels weird not to type Nine, Ten or Eleven) and his daughter Susan meeting Peter Pan author JM Barrie. Due to the subject matter, the 5,000 word or less story will be set in Victorian London in the 1900’s and Colfer is hoping everyone gets all the Peter Pan references. Clap if you believe in the Doctor! 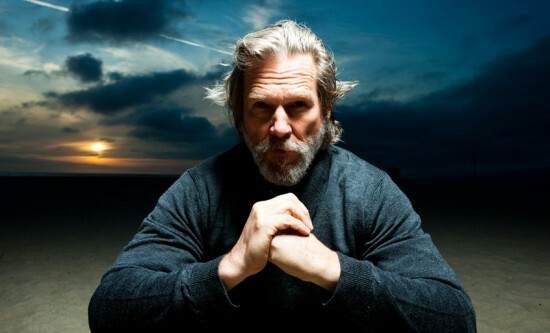 It may have come out in 1993, but the children’s book The Giver is being made into a movie with Jeff Bridges in the role of the Giver of memories. Gee, it only took fifteen years. Oh how I wish that were an exaggeration. Lois Lowry says they are currently in the process of auditioning young boy actors for the role of Jonas, the protagonist who receives the memories of the past from the Giver. Lowry is finally hopeful that her book could actually be made into a film, having been skeptical back in October when the rumors started. Let’s hope this time’s for real. Reading is such a solitary activity, might as well add a cute bookmark into the mix to keep you company. Also works if you have insane OCD and you like to match your bookmarks to your reading material. These adorkable pieces are available through the Etsy shop bethydesigns and come in fandom options such as Harry Potter, Alice in Wonderland, Sherlock, Doctor Who, and Merlin. Gotta collect them all, bookmarks we want to hug! That joke works so much better out loud.